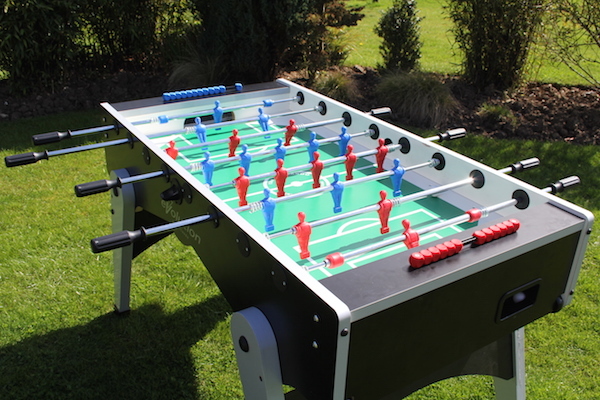 Foosball or Table Football Game as it is more commonly known is a fun game which can be played by 2, 3 or 4 players. 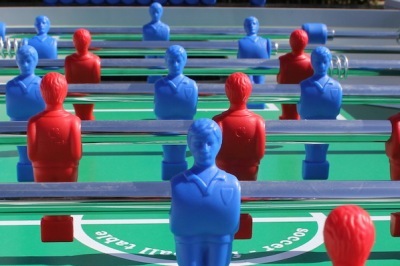 To begin the game, the ball is put through a hole at the side of the table, or simply placed by hand at the feet of a figure in the center of the table. The toss of a coin decides the initial serving side. Players attempt to use the figures mounted on rotating bars to kick the ball into the opposing goal. 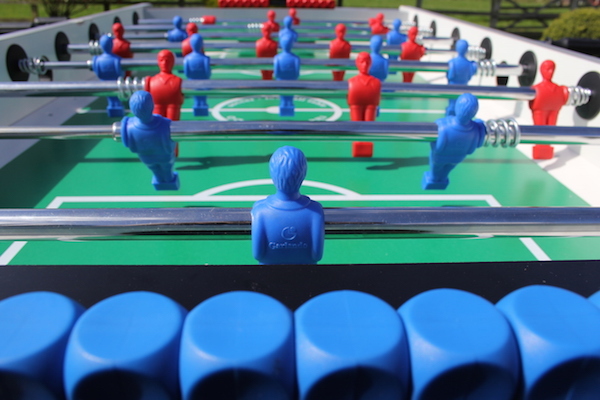 The first team to score 10 goals are the winners. 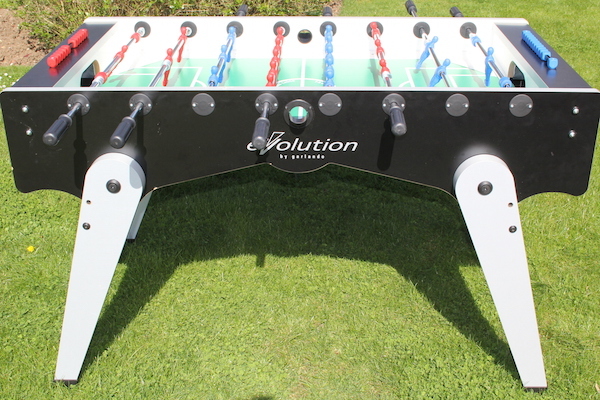 Foosball can only be hired for use indoors or under a marquee. 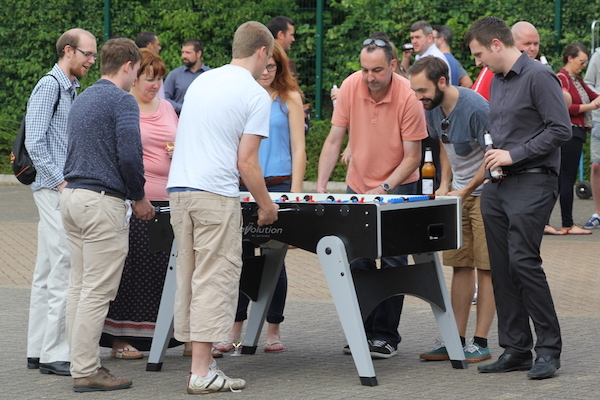 If you are having a football themed event then why not also hire our human table football games or Soccer Shootout. 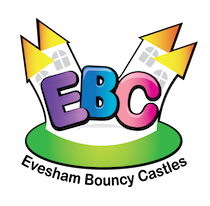 Foosball is available to hire in Evesham, Worcestershire, Gloucestershire, Herefordshire, Warwickshire and The Midlands.